"Every Tuesday we'd meet for the morning," Johnson said in the latest episode of Gimlet's "Without Fail" podcast. "I'd lead the meeting Steve would give his input and then the next week we change it all and try again. If I didn't have Steve I don't know if we were to get it done. I mean Steve is so good at this." Jobs was normally about 15 minutes late, but very much on top of the situation, Johnson continued. "And we'd have worked for a week on the store design and they are [sic] radically different," he said. "And [Jobs] would literally park his car, walk in the front or stop to look at 6,000 square feet. You know with his hand on his chin and he'd say here's what I'd like and here's what I don't. He could pick up all of the changes on the spot." Johnson gave the example of table height, noting for example that if they had talked about dropping it from 36 to 34 inches the week before, Jobs would come in and say he liked it unprompted, having remembered planned changes. "His ability to incisively critique a creative endeavor was second to none," Johnson commented. "And his intuition his understanding of what customers would respond to was unparalleled. It was a gift for me to work with him because you're always in business when you're inventing things you've got to balance the dream with the data. Most people the data overtakes the decision making and then you don't have a dream. Steve always stayed focused on the prize. You know he could articulate it so clearly like he used to love to do things in three or four words." Jobs called Johnson "every night" at 8 p.m. for the first year, because that was when Johnson's children had already gone to bed. While they would discuss retail plans, Jobs also wanted Johnson to understand how he thought in general so that he could delegate tasks with confidence. One moment of conflict came in January 2001 when Johnson suddenly wanted to redesign the prototype store, which until that point had been organized around products. In a meeting between the two, Jobs got upset at the thought that all his work was being rejected. "And he said, 'Ron do you know how hard I've worked on this store because I've been coming over here for nearly a half a year. Every Tuesday and we finally got something I want to build and you want to tear it up. I don't know that I have the energy to do this. I don't want you to bring it up today.' I said OK. So we get in this car and we drive this 2 to 3 mile probably takes 10-15 minutes over the warehouse. Didn't say a word I didn't say a word. I didn't think he was very happy." To Johnson's surprise, on visiting the prototype, Jobs told assembled people that Johnson was right about wanting an overhaul, and that he would come back when the work was finished. "He called me that night at 8 o'clock and he said 'Ron,' he goes, 'you reminded me of a really important lesson. Everything great I've done I've had to have the courage at some point in the process to start over and rethink it.' And he told me stories about every Pixar movie done how they're pretty close to want to release the movie. They realize you know we could change the ending. We could improve a character. He went through some of the products he['d] done at Apple and how you had to know when it was good enough. And he said, 'I'm really proud of you for challenging the design of the store.' And he goes, 'I'm going to have you lead it a little more because I don't know that I have the energy to start from scratch. But we ought to do it better.'" Johnson ultimately left Apple to become the CEO of JC Penney, wanting the "underdog" challenge he'd experienced with Apple and Target before that. 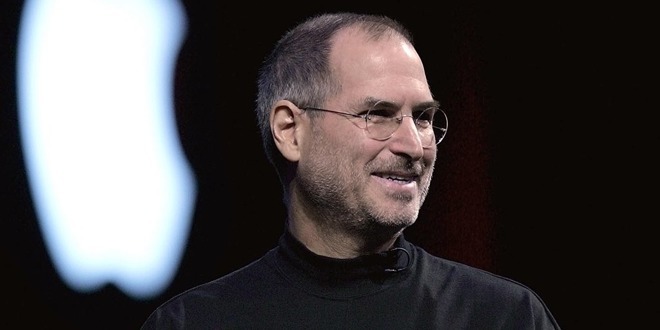 He did however stay at Apple until Jobs' death from pancreatic cancer in October 2011. Johnson is currently the CEO of Enjoy, an online store that both delivers and sets up new tech products.